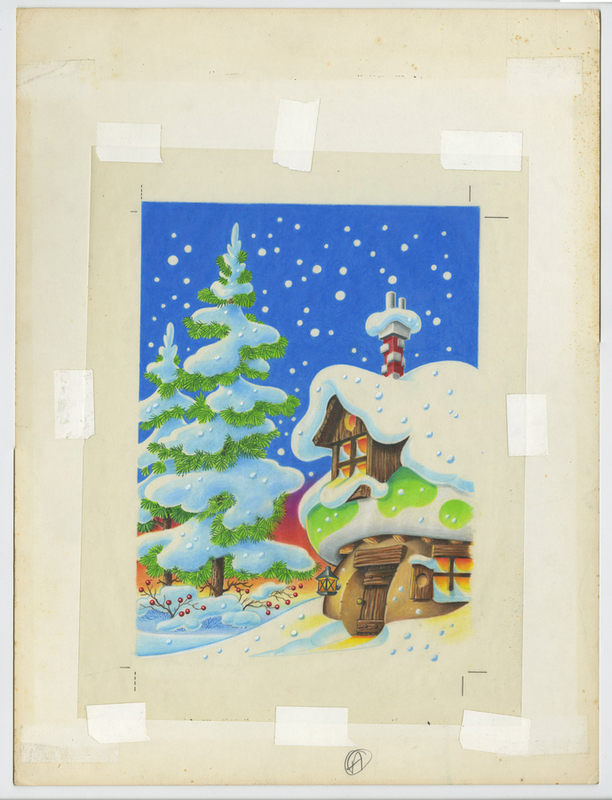 This is an original illustration created in the design of promotional advertising for Hanna Barbera's Smurfs product line for Applause manufacturing. 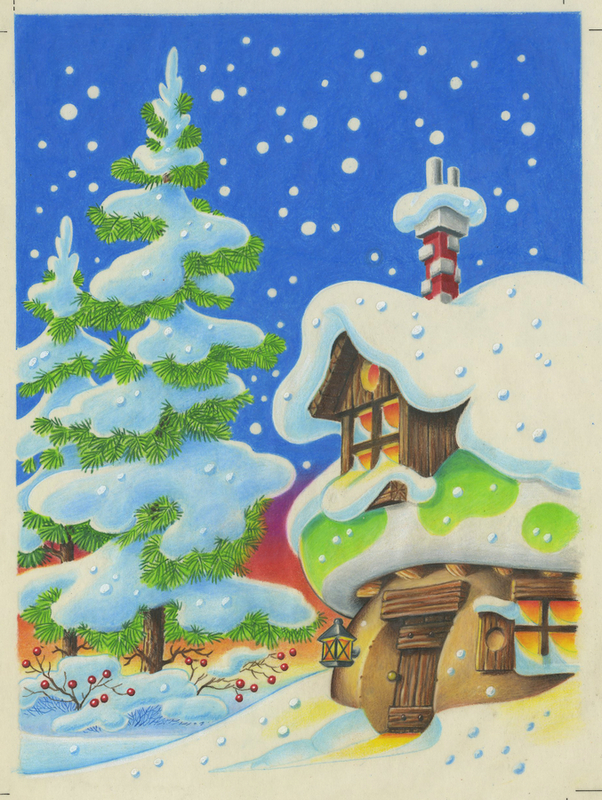 This wonderful image shows a snow-covered Smurf house, likely around the time of the holiday season as the Smurfs prepare for their gift-giving (or more likely for consumers preparing for the Christmas gift-giving). The wonderful image is made even more impressive in that this design is seen as a small detail in the merchandise design of Baby Smurf holding a snow globe that is available on our site (febsmurfs17368). This image is what appears inside of the snow globe! The overall piece measures 14.5" x 11" and the image itself measures 11.5" x 8.5". This original illustration is in excellent condition.